Aspen Journal: Where Are Ideas Born? Each year, the Aspen Institute hosts what it calls the Aspen Ideas Festival. Over the next week, VOA will be in Aspen with hundreds of thinkers, writers, inventors and innovators, to learn and share some new ways to look at our world. Is this the well-spring of all new ideas? “I have the result, only I do not yet know how to get to it.” – Carl Friedrich Gauss. For Archimedes, it was in a bathtub. For Isaac Newton, it was under the shade of an apple tree. For Oprah Winfrey, it was, at least on one occasion, the TV set of the “Steve Harvey” show. Insight – especially those rare, sudden flashes of aha! – comes at many different times and places for different thinkers. There’s no universal example of a “Eureka!” moment. For example, it’s probably unlikely that anyone other than a soggy Archimedes discovered something profound and exclaimed “I have found it!” before leaping from his bath and running down the street naked (if the story is to be believed.) Falling fruit has rarely been as fortuitous as the apple that conked Newton on the head, supposedly leading him to insight on the nature of gravity. History is filled with many different examples of the moment when a new idea comes to life, and they’re as quirky as they are common. While we all may disagree on the where, what many cultures seem to agree on is that the aha! moment – that point of clarity and discovery – is when lasting ideas are born. But is that really so? Do the best ideas really spring fully formed – like Athena from Zeus – from the foreheads of solitary thinkers? Or could the creation of ideas that matter – the ones that answer questions not even asked – be a far messier and more chaotic affair? Might ideas have not just one but many, many parents? And do we even really recognize them for what they are when they appear? If the coming week in the mountain resort town of Aspen, Colorado, is any measure, it’s a little bit of the former, and a whole lot of the latter. “Everything in your life ends up in your act.” – Charles Steinmetz. The Ideas Festival, sponsored annually by the Aspen Institute, is, in a word, sprawling. Both in terms of its areas of discussion, ranging this year from Pakistan to the Large Hadron Collider to sugar and nearly everything else, and in terms of its goal, to “…foster a ‘commons’ for the 21st century, a gathering for diverse, intellectually curious people to learn, listen, debate, and question what we can do to make our world — and our children’s world — a better place.” That’s what we call aiming high. Clearly, there’s a risk to mounting such an ambitious event: a festival built around something as ephemeral as “ideas” featuring speakers who draw elite fees and audiences can appear to be just that: elite, aloof and disconnected with the troubles and worries of most of our lives. In years past, however, the Institute has side-stepped this trap by intentionally making the Festival slightly…well, disorganized. Not in an anxiety-producing way, but more in a slightly off-center feel. Like a record left too long in the sun with a slight warp. Organizers try to build events that people don’t just attend but join in and participate with. Minute-by-minute planning is discouraged; spontaneous exploration is recommended. Mostly, while in Aspen, you’re supposed to listen, to think, and to talk. Everything about the Festival encourages participants to stray momentarily down a path not taken before, and perhaps learn something new. The goal is that in these unexpected interactions, when ideas from left and right and everywhere else bump into each other, something new is created. Fresher ideas, and perhaps occasionally, even better ones. Michigan State University researchers Robert and Michell Root-Bernstein argue in their book “Sparks of Genius” that those “Eureka!” moments comes from equal measures intellectual rigor and unexpected play. Writer Steven Johnson, author of the book “Where Good Ideas Come From“, likens the most fertile breeding ground for new ideas to the slightly riotous coffee-houses of Enlightenment England, fueled less by gin and more by caffeine and chaos. 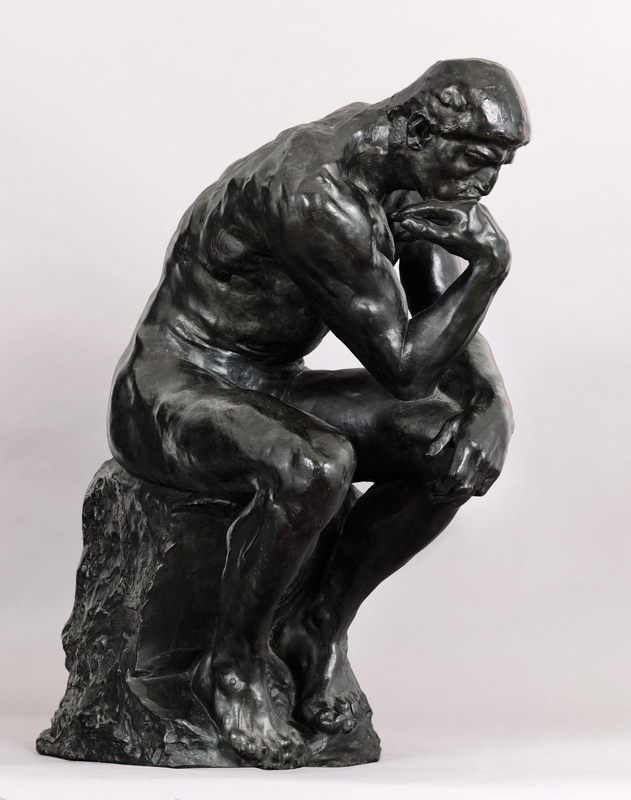 In this model, it isn’t the solitary thinker who creates ideas sui generis but the loud mob who cobble together some of this and some of that and produce something entirely unexpected. You can’t plan spontaneity, but at Aspen, they try to set the stage fully for just about anything to happen. That, at least according to the two gentlemen behind me on my flight to Aspen, who were so eager for the Ideas Festival that they decided to have a little one on the plane. Loudly. The NSA leaks, the Somali diaspora, flagging energy reserves, the Newtown shootings – all of these and more figured in their :40 minute exchange; at turns exemplifying the best and perhaps worst of what any event meant to share ideas can be. Ideas are good things. Everyone wants to have at least one; preferably a good one that other people, eyebrows cocked, nod approvingly at. At its worst, that can lead to everybody trying to be the loudest instrument in the band. It’s noisy, a little grating, and really not very helpful or resonant. But at its best, when people pause to listen – to really listen, not just to score more points off your argument but the hear and understand something you hadn’t thought, or had previously discounted – well then, that’s a beautiful thing. The trick is to listen – not to puncture your opponent’s idea, but to have new ones slam into your own and see what happens. Aspen is a beautiful town. At its best, the Ideas Festival is a beautiful event. Although organizers like to say that everyone here are equals, the rows of privately owned Lear jets lining the Aspen runway put a lie to that. Nobody’s going to tweet a picture of me eating a hot dog on the Festival grounds, but a whole bunch sure will when former Secretary of State Madeleine Albright picks one up. Sometimes, ideas really do strike like a bolt from the blue. For example, the very first moment the French aerialist Philippe Petit saw a drawing of the soon-to-be-built World Trade Center, he knew in a flash that he needed to walk on a wire from tower to tower. From what was born in that instant, however, took the next six years of Petit’s life and energies – a a good portion of those he gathered around him. He had the idea, but had no idea how to do it. Perhaps that’s the best measure of an event like Aspen. Will many come away from this event with an epiphany-like moment of blinding insight? Unlikely. But that’s probably not what it’s for. The Ideas Festival is the place where all sorts of ideas who’ve never met each other come out and play. It’s summer camp for thought.